What is important to your family when camping? If organized activities for the kids, amenities such as hot showers and a convenient location are appealing, a KOA (Kampgrounds of America) camping experience might be ideal for you. My family hadn’t considered, or even heard of, KOA until last summer. We had hoped to find a quiet campsite near a lake for swimming and fishing but last-minute planning left us short of options. Not wanting to chance that a first-come first-served campsite would be available, our only choice was a KOA on the Olympic Peninsula, in Port Angeles. The campsite sounded fun for the kids but we weren’t sure how it would be for us. Since it was only for a few days we gave it a go. Now we are converts. It is worth noting that KOA campgrounds are not ideal for every family. Most don't offer the kind of secluded tent sites that you might find at a state park campground. And since KOA campgrounds have free wifi, you'll have to make more deliberate efforts to unplug. But, especially for families with young kids, the comfort and fun factor of KOA camping may be welcome tradeoffs. The fee for tent sites typically range between $23–$45 per night; you'll play an additional $10 for sites with water and electric. RV sites cost in the range of $35–$60 per night. Camping with young children can easily lead to unexpected mishaps. A previous camping trip left me struggling to wash a sleeping bag in the shower, so the laundry room at our KOA campground was a welcome relief. Most KOA campgrounds have additional home comforts including sink areas for washing dishes, swimming pools and hot tubs, game room, communal facilities for heating food. Some even have on-site cafes or snack bars. If you are traveling with pets, most sites have an off- leash dog park; some even offer pet daycare. Some camps also offer adult activities, such as winetasting and adult-only hot tub time. 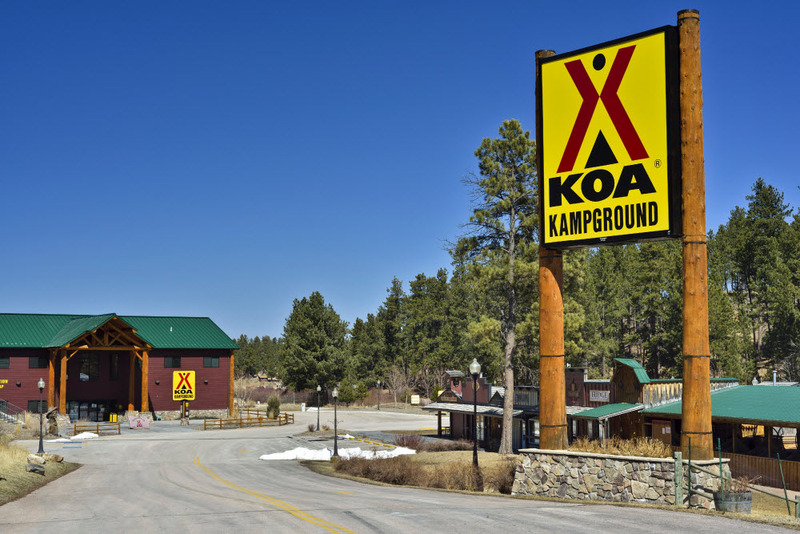 Whether you are a seasoned tent camper or an RV owner, KOA accommodates all needs. If you want to eliminate the hassle of pitching a tent, try a KOA camping cabin. One and two-bedroom camping cabins with full electricity range in price from $65–$120 per night (comparable to yurts at state parks). 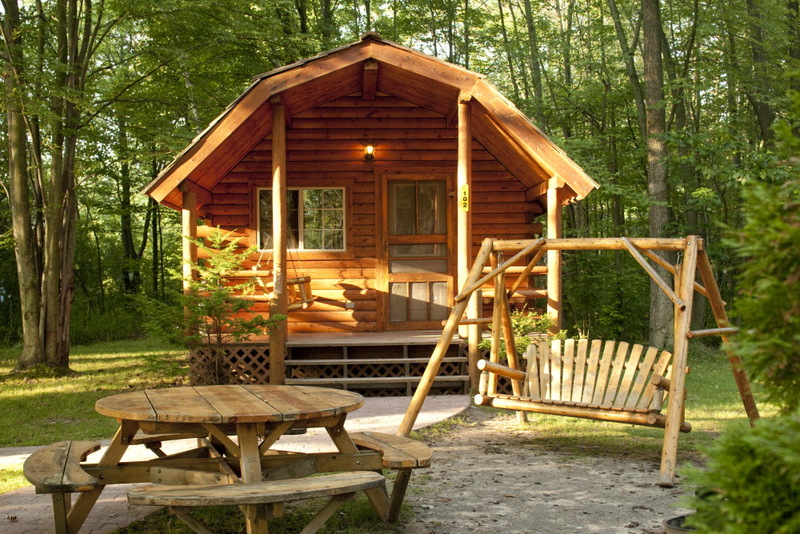 Deluxe cabins with bathrooms and kitchens range from $92–$250 a night. Most cabins are pet-friendly but they do book quickly. We stayed in a basic two- bedroomed camping cabin during our school spring break this year. There was plenty of space for our family of five and our dog, and with lighting, power and portable heaters, we weren’t at the mercy of the elements. 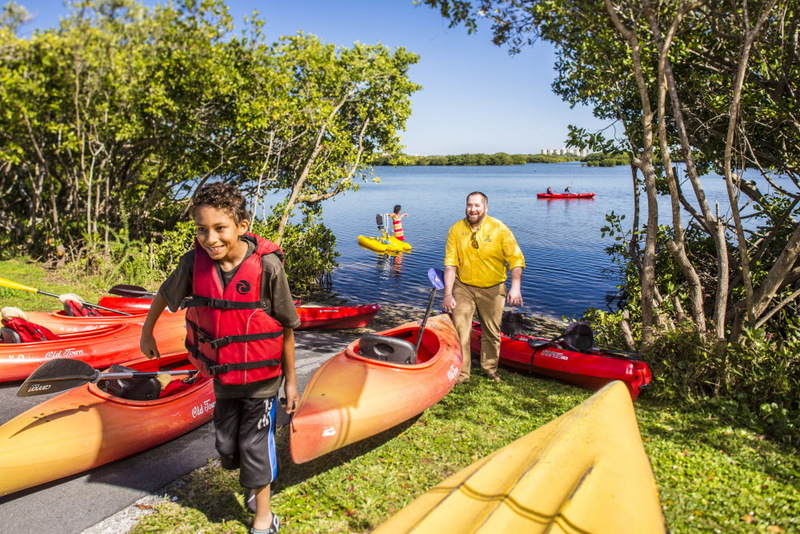 Most KOA campsites are located near popular natural attractions and state parks. But if you don't feel like venturing away from your home base, KOA campground offer many activities to occupy the kids. Some are available all year round; others, such as swimming pools, are seasonal. In peak season, expect planned kids activities such as crafts, movie nights, hayrides, ice cream socials, bingo and competitions. My kids loved entering the poster competition and each entry received a comment and small prize. Even without the planned activities, kids will enjoy themselves. At a recent off-peak KOA trip, my kids spent hours in the playground making new friends. KOA membership is not required but sign up for a rewards card to save 10 percent on every night you stay. Amenities and services appear on every listing, alongside a star rating and link to the individual campground webpage. Star ratings are based on questionnaires sent out to guests at the end of their stay; and are used to select the best, award-winning KOA sites. To help with planning, the KOA website includes maps, route planners and the option to save your preferred campsites in your account. Prior to browsing campgrounds online, you may want to download the directory of KOA campsites for a quick reference. Tip: Last-minute booking is generally more readily available than in state parks but the most popular sites, particularly those near national parks, will fill up quickly during the summer months so, booking ahead is advised. The amenities at KOA campsites should enable you to travel light. Keep packing simple and focus on three main categories: shelter, food and clothing. Make a list in advance and keep essential items in a labelled camping box that you can grab easily. Don’t pack too many clothes as you can always use the laundry on site. Make sure you pack warm clothes for the evenings and mornings. If you have a dog make sure you pack a leash as all dogs must be kept on a leash at all times. Keep food choices simple. Many key items are available in the convenience store. Set on the Yakima River, this award-winning KOA is a great base camp for fishing, rafting or enjoying the local scenery. You could even add in a concert at the Gorge Amphitheater. This KOA features wooded sites, some right on the river and cozy Delux (air-conditioned) cabins. There is a swimming pool, bike rental and playground to keep the kids happy. This KOA is open all year and has a number of cabin options. Set at the foot of the Cascade Mountains amid 30 acres of pine trees, wildflowers and grassy meadows, with the Wenatchee River running alongside, this is a place for recreation and relaxation. A free weekend shuttle (seasonal) to Leavenworth's Bavarian Village makes shopping and dining easy. Kids will enjoy the playground, pool, rental bikes, movie nights, tie-dye and activities. The onsite coffe bar offers espresso, ice cream, fresh smoothies or even breakfast during the summer months. The Olympic Peninusla KOA (where we've camped) is the perfect vantage point from which to explore Olympic National Park (celebrating the NPS centennial this year). Explore forests, glaciers, hot springs, lakes, waterfalls and the Olympic Mountain Range, whose majestic peaks are visible from the campground. This campsite hosts fun-filled activities during peak season such as evening movies, hay rides, tie-dye crafts, monster bike-riding and outdoor recreation. The hosts are full of energy and enthusiasm. The site also boasts a pool, hot tub, convenience store, games room, mini golf and playground. “Best campground in Washington maybe even North America! Owners are the salt of the earth!,” said one guest from 2015. This award-winning KOA is located in the Old West mining town of Winthrop, set on the Methow River. Surrounding mountains and forest make it a perfect location for hiking, horse-riding, mountain biking or kayaking. A daily complimentary shuttle to town is available and friendly staff offer information on expert guide services. Kids will love the Western-style playground, jumping pad, silver queen mine and heated pool. If you love to be entertained, this is the KOA for you. Activities for families include three fishing ponds, paddleboats, mini golf, a games room, a swimming pool and beach volleyball. Campers celebrate with fun events like Mardi Gras, Western Days, s'mores parties, barbecues and themed dances. On sunny days, enjoy the breathtaking scenery from the San Juan Islands to Mount Baker.